As April rolls in and the weather starts warming up, homeowners will soon resume a beloved spring activity — gardening. But before all the green thumbs start digging their hands back into the soil, they should keep in mind ways to make their gardening experience more gratifying and effective. Here, L & R Power Equipment Inc., an outdoor power and hand tools provider in Monroe, CT, offers a few spring tips for gardens. Months of cold winter temperatures usually leave soil dried out. 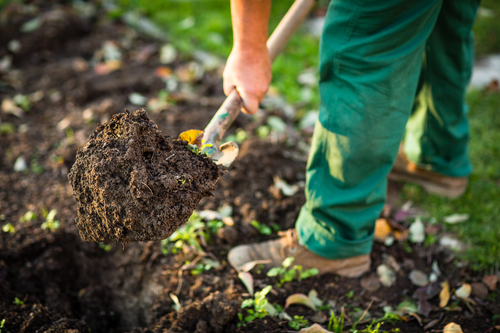 Before you start planting, you'll want to energize your garden with moisturizing materials such as compost and manure. It'll give your garden the rich, lively dirt it needs to help plants flourish. Purchase some hand tools, such as a fork or shovel, to even out the soil and keep yourself clean in the process. April can be a volatile month for planting. While some days are mild and dry, just as many, if not more, are wet and frigid. Try to start planting on a day that is both dry and warm, a combination that will make the soil easier to work with. Plants that are still around after winter will need to be pruned if you're hoping for them to grow again. Wait until you're deep enough into spring — usually mid-to-late April — before pruning. This way a sudden overnight freeze, which is far more likely to occur earlier in the month, won't kill new buds. Hand tools such as pruners or shears will make this process easier. L & R Power Equipment Inc. is one of greater Monroe's most trusted outdoor power and hand tool stores. Whether you're looking to efficiently mow the lawn every week or you're ready to up your gardening game with the latest tools, they have the right products for you. From chainsaws, trimmers, and blowers to electric lawn mowers, this local business is always stocked with the latest outdoor equipment. Visit their website to look through their products, or call directly at (203) 268-8400 to learn more.